Our new 2 AA 4 Silver Star Merit luxury hotel in Wokingham, near Reading offers 174 beautifully furnished tranquil bedrooms ranging from Standard, Executive, Family and Suites. Unwind in your fresh and contemporary Standard Room; relax in your spacious Executive Room decorated in rich and warm tones or indulge in your luxurious Suite, the choice is yours. 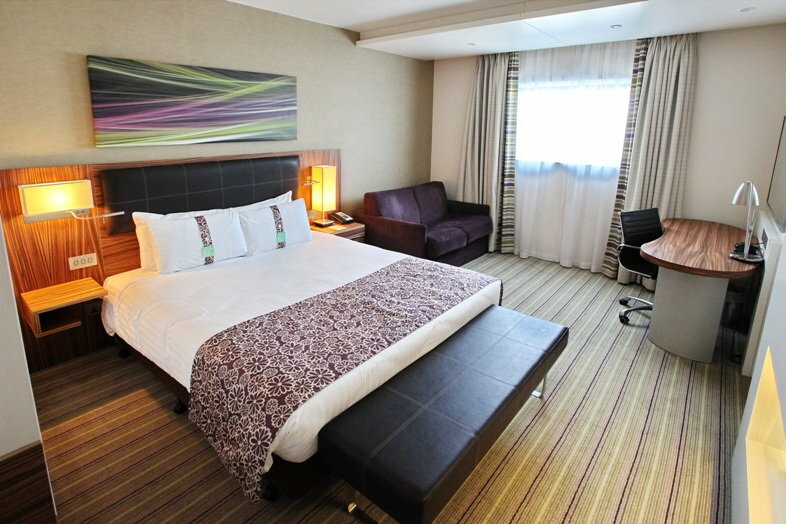 Holiday Inn Reading M4 Jct10, offers luxurious spacious tranquil en-suite bedrooms, with air-conditioning, 32″ flat screen TV with selection of Freeview channels, hairdryer, ironing board and bedroom safe. There is a comfortable work desk and superfast Fibre-Optic Internet offered in the rooms. Spacious bathrooms with bath and shower including Gilchrist and Soames luxury guest toiletries. Complimentary secure underground parking is provided for hotel residents. In addition, the hotel is a 1-minute walk from the Winnersh Triangle Train Station, on the Reading to Waterloo line and a mere 6 minute train journey to Reading for the Reading to Paddington fast train (20-minutes) making it the ideal location for a Family Hotel Break in Berkshire.